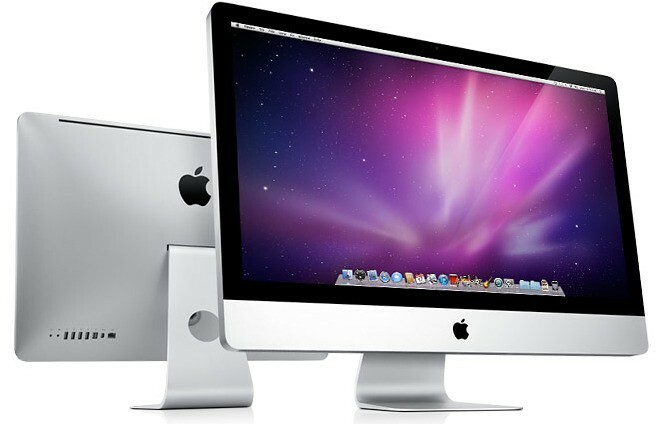 Apple today updated its signature all-in-one iMac with next generation quad-core processors, powerful new graphics, groundbreaking high-speed Thunderbolt I/O technology and a new FaceTime HD camera. Starting at $1,199, the new iMac is up to 70 percent faster and new graphics deliver up to three times the performance of the previous generation. Our customers love the iMac’s aluminum enclosure, gorgeous display and all-in-one design. With next generation quad-core processors, powerful new graphics, Thunderbolt technology and a FaceTime HD camera, we’ve made the world’s best desktop even better. This refresh has brought the quad-core performance of the Sandy Bridge processors to the entire family. Four new SKUs have replaced the previous models, beginning with the $1,199 entry-level 2.7GHz 21-incher and all the way up to the flagship $1,999 27-inch iMac with a 3.4GHz processors. More information and the official press release. All models cost the same as previous models and include 4GB of RAM, IPS display technology for sharp image at wide viewing angles, an SD card slot supporting high-capacity SDXC memory cards, the wireless Apple Keyboard and Magic Mouse and more.